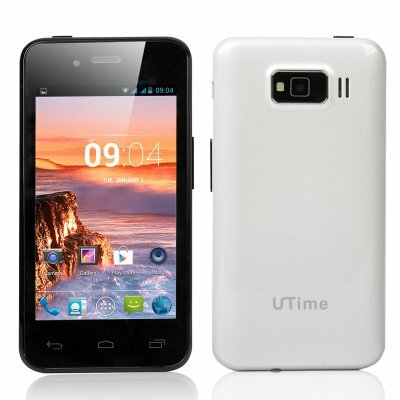 Successfully Added UTime U6 Smartphone - 4 Inch 800x480 Screen, MTK6572 Dual Core 1.3GHz CPU, 512MB RAM, 4GB ROM, Android 4.2 OS (White) to your Shopping Cart. UTime U6 Smartphone is not going to win any awards or cause a friend specification wise however its price and what specs it does has makes it a real attraction. 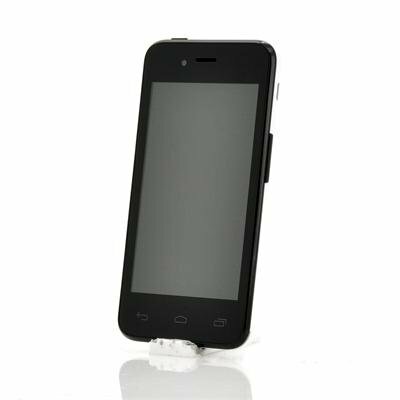 This small and handy to use 4 inch phone has a touch screen with a display resolution of 800x480 meaning you can still see your content clearly. It maybe small but it has a mighty beating heart because the UTime U6 phone packs a MTK6572 Dual Core 1.3GHz CPU, which results in a smooth operation that runs effortlessly. Plus this chipset is backed up by 512MB RAM to help with the operation. Store you music and other media on the 4GB of internal memory or expand it using the built-in micro SD port. Other features include an Android 4.2 operating system for user friendly but heavily advance usability. Like other smartphones you get the usual Bluetooth and Wi-Fi connectivity as well as two built-in cameras for taking photos and videos. There are even two slots for two separate SIM cards so you can manage two numbers from this one phone. Another gem of a unit. This phone is another example of what can be done to create a great product for a fantastic price. It's Android, so for Android users it's easy to setup and customise. It's form, fit and function bely it's cheap price. The screen is incredibly sharp, the colours are vibrant and it's extremely clear. It's a very sharp looking phone too, you could easily think it was quite an expensive phone. Out of the box you can use it as is (barring a SIM card), it has all the necessary basic Android functions. The beauty of buying one of these phones is, you have full control of what apps you want to use and how you want to customise it, unlike many brand name phones. And of course, it's not locked to any carrier. The camera (rear), being 2 Megapixels, is quite good, but if you want higher quality pics, use a proper camera. For a budget phone it's expected that there will be some compromises, but for the price and what you're getting it's a very small compromise. My only real gripe with this phone is the instructions, yet again! To be perfectly blunt, they are rubbish. They are so tiny you need a magnifying glass to be able to read anything. I took one look at the instruction leaflet and chucked it in the bin, it's completely worthless. Another smaller issue is the packaging. Although it was quite adequate in as far as keeping the phone safe during postage, the box is plain brown. Fine if you're buying for yourself, but if you're selling to customers it doesn't give a perception of quality. Hopefully they'd soon forget about that once they start to use the phone and realise that it actually is quite a good phone. And maybe not such a small issue, is finding a cover or some sort of case for this phone (and all the other non-branded phones available on Chinavasion). It does come with a screen protector fitted, but if you ever need a replacement you will have to find something and modify it to fit. I'd suggest to Chinavasion to start stocking generic cases/covers and screen protectors (if they're available) for these type of phones (and tablets) and leave the phone covers for brand name phones (and tablets) to the overwhelming multitude of sellers all over the web already selling them. It only makes sense to sell accessories for your own products, doesn't it? It would certainly add value to those products, which is what it's all about.